Candy Corn seems to be one of those polarizing candies. You either love it. Or you hate it. In fact, my friend Annette recently shared a candy corn joke. Step two: Pour bag into trash can. Step three: Eat peanut butter cup instead. Ta-da! 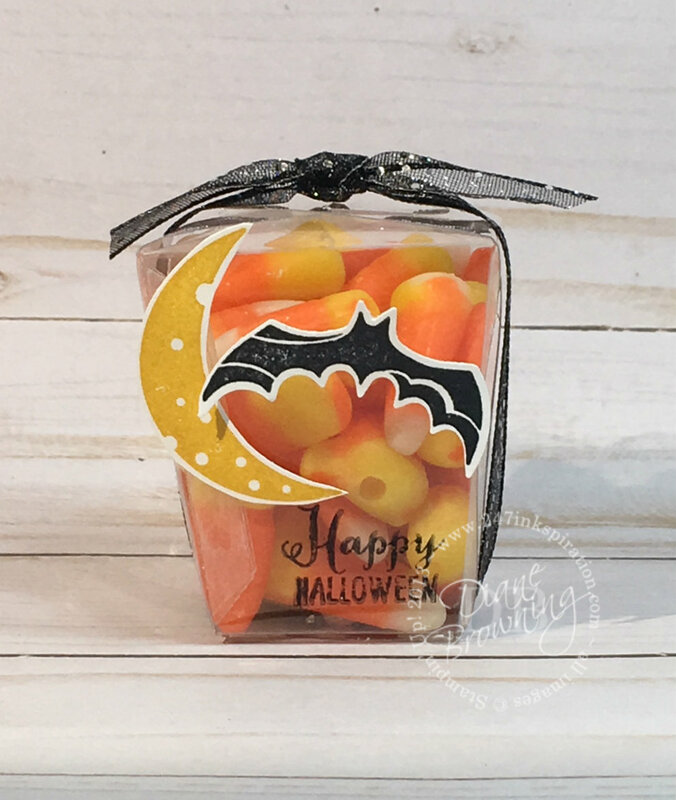 A candy corn treat holder! Of course, you could put anything in here, but the candy corn just screams Halloween so it was the perfect “filler” for my treat holder. This teeny-tiny little box is the Take Out thinlets dies and is approximately 2.25″ x 2″. It looks just like a mini Chinese restaurant takeout container! I made my box out of our Window sheets so you can see what’s inside. 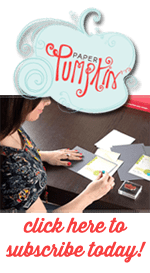 I would recommend making these out of card stock so you can’t see where it gets taped on the sides. I used Staz-On ink to stamp the Happy Halloween right on the Window Sheet. With Staz-On, I know it will be permanent and won’t smear. Are you Team Candy Corn? Or is it your least favorite Halloween candy? Add a comment below with your favorite Halloween candy!